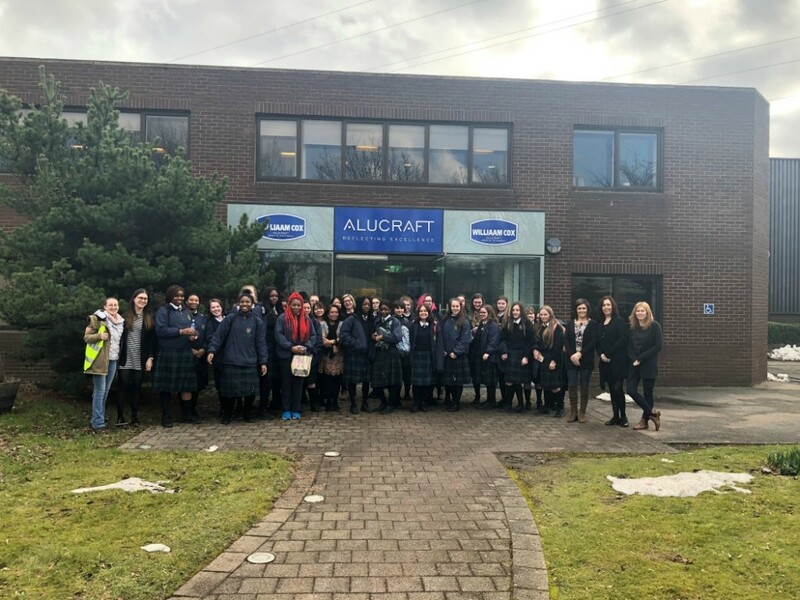 Alucraft Ltd. had the pleasure of hosting transition year students from our local all-girls school, Coláiste Bríde on International Women’s Day 2018. 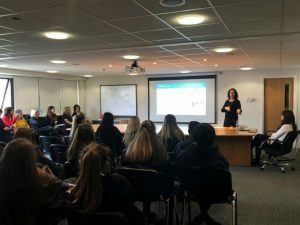 Here at Alucraft Ltd. we are passionate about building equality in the construction industry and this was an ideal opportunity to inform and educate these students on some of the careers paths available to them in our sector. The afternoon consisted of tours around our design office and manufacturing facility where they got to see first-hand how a project moves though our business, from the earliest design stages right through to the completion of our unitised and stick frames. Our Production Coordinator, Bébhinn Ní Mhongáin led the tour of the manufacturing facility where she also imparted her reasons for choosing a career in construction and discussed what what her role consists of day to day. 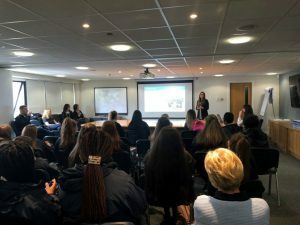 We put together a talk for the students so they could also hear from the other women in our business who work in Structural Engineering, Quantity Surveying, Project Management, Quality Assurance and Facade Design. Caroline O’Callaghan, Ruth McKenna, Louise Loddick, Kate O’Grady, Madrona Rocel Reyes, Evelyn Delfin & Tanjana Orlovac all took to the floor to discuss the career path they took and their experience working in construction. 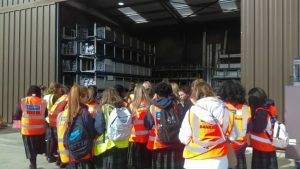 Transition Year Students from Coláiste Bríde visiting Alucraft Ltd.